If the basic theme is clear in your mind, designing a wedding card is fairly easy process, but when it comes about the printing process our minds just go blank. The printing process not only involve the technique selection but also the paper selection, paper selection, colors etc. To help you on this we have compiled some tips regarding the Various Printing Options For Wedding Cards. The design and content choice is very different from the printing part. If you have idea about printing, this can be an easy process for you. But for those who don’t have any prior knowledge about printing process or doesn’t know much about printing techniques, the most important thing to keep in mind is to know what all options are available with the vendor for the printing of your wedding card. Here we have listed a few of the most popular and beautiful printing options which you can decide over for your wedding card, while deciding for your wedding invitations. 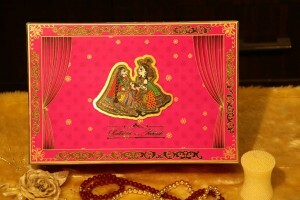 We provide a vast option for wedding cards printing in Delhi. This process involves the use of foil paper for the printing process. In this technique the text on the paper is adhered using a copper plate which is pressed against the foil. This technique is similar to the letterpress technique of printing but provides you with the wide range of font style selection in text printing and other motif choices. this process usually takes longer time and it will take a minimum of 8-12 days for the printer to finish the job. Also it is a little costly when compared to other printing techniques. Engraving is the process which involves the raising the text fonts on the paper, it usually done on the paper from back side. The text is etched on the plate which is generally made of cooper or some other alloys using a negative and then the paper is pressed between the weights and the plate. This sandwich technique creates letters and other design to be engraved on the sheet. 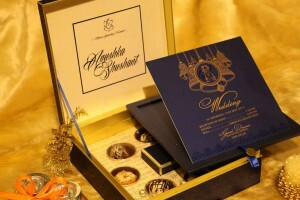 This is classic way of making wedding invitations and. It is fairly a speedy process which doesn’t involve a lot of time for completion of order, once the block is made for the desired text to be printed on the paper the printer can finish this in a week time. This is also a costly technique but the end result comes out a very beautiful. This technique becomes a little effective when there is to print a lot of wedding cards. This technique is quite similar to the engraving printing technique, but only with respect to the looks, as this technique of printing is totally different. In this method the ink is fused with the raisin powder with the help of heat and later the two are bonded together. The text which looks to be engraved is all because of the raisin powder. The color options available in this technique is not very huge. 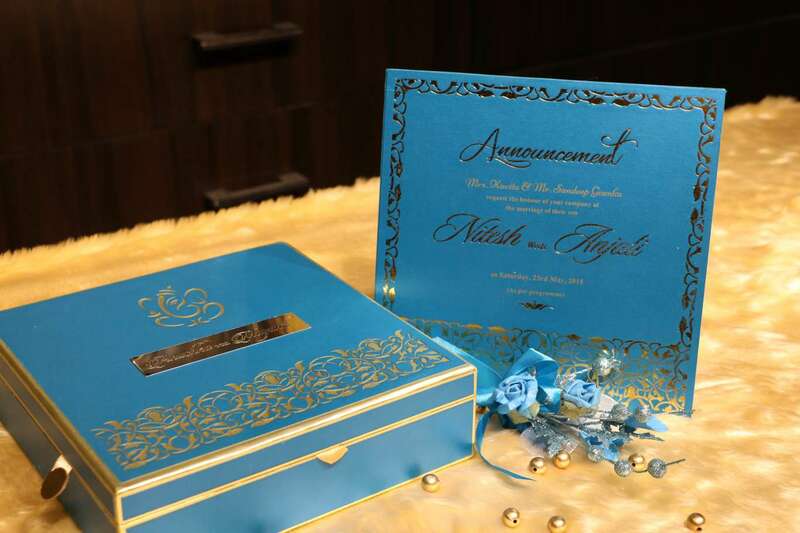 This method of printing wedding cards and invitations can take up to 15 days depending on the order quantity. This printing technique is quite popular these days. We often use this technique, some of our best designs used this process along with some other techniques. This process and the engraving process are quite similar but the effect seen on embossing is a little more. Here a colorless metal sheet is used for engraving. 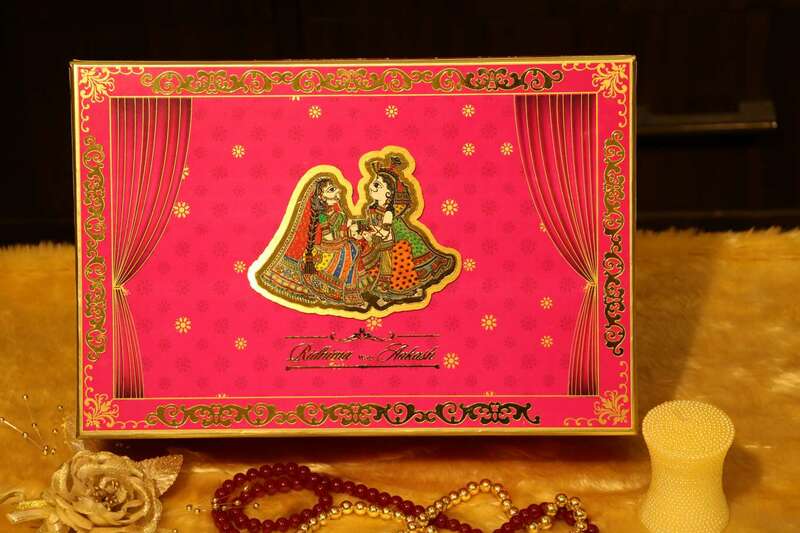 This method of printing is usually opted for the borders of wedding card which gives it a texture. Some other areas where embossing is used are motifs, monograms, highlighted text, the addresses etc. this method require a minimum of 3-4 weeks in order to get a reasonable good finish on wedding invitations. This technique is one of oldest technique and most common in the world of printing generally used by almost all printers. This process involves the printing each letter separately on sheet just as it is printed using a typewriter. Again the options for ink colors is limited in this process. 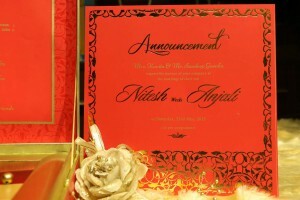 This printing technique is usually opted if you want a thick paper for your wedding card. The font options is again limited in this category and customization options are limited. The whole process gets completed in around 2 weeks. It is one of the most commonly printing techniques used. 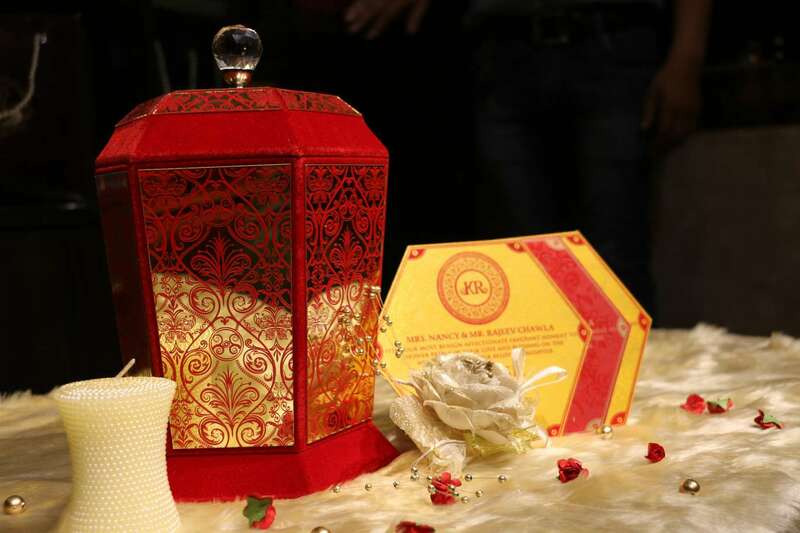 The whole process in offset printing in very simple in which a rubber stamp is used to transfer ink fro the plate to the paper of the wedding card. This technique offers a huge variety of ink colors and the printing is done using a digital printer. The design options in font selection and fonts are much more when compared to other techniques. The time taken for completion of the whole process is comparatively less than other techniques. 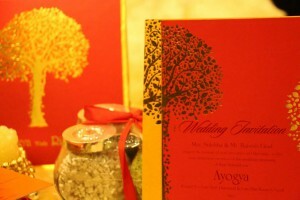 VWI is a brand that specializes in the conceptualization of designer wedding invitation cards. We design modern and luxury invitations which add something special to the momentous celebratory occasions that a family shares together. From weddings to Anniversaries, Baby showers to birthdays and inauguration to parties, our innovative designer cards can add a touch of warmth and style to any & every occasion. Your search for Unique & Customized Designer Wedding Invitations ends here.